Hello, everyone. Hope you had a great week! Well, the tech industry turned upside down (quite literally) due to the new executive orders passed by Trump, so there’s that. Anyways, following our weekly tradition, here’s your weekly tech news roundup. This week’s news covers Microsoft going after Chromebooks, Game Mode finally arrives on Windows 10 Insider Build, Dropbox goes after Google Docs, Apple to start manufacturing iPhones in India, Razer acquiring Robin to enter into the smartphone business, and Google ends support for Gmail for Chrome versions below v53. Let’s get started. Google released Chrome in 2008 after realizing that browsers could be faster and more reliable and offer more security to users. Chrome quickly grew to be the go-to choice for people. Today it boasts an install base of 1 Billion users. During the evolution of the Chrome browser, Google saw that people really loved the stability that Chrome offered. At the same time, they saw the netbooks market was dying and they had the potential of reviving it. So they did, they brought the stability and minimalism of Chrome to the desktop with the Chrome OS project. Initially, I wasn’t a big advocate of using Chromebooks because there was only so much you could do on it. But after last year’s announcement that Android apps are coming to Chrome OS, all of a sudden, Chromebooks have started looking better than they ever did. Microsoft reigns the desktop market with the highest user base, but even they are trying to get Chrome OS off their territory. Yes, Microsoft is working on its own version of a Chrome OS competitor called Windows Cloud. Now if this is going to be anything like the Windows RT it’s bound to fail. But rumors have it that Microsoft is trying out a different approach. 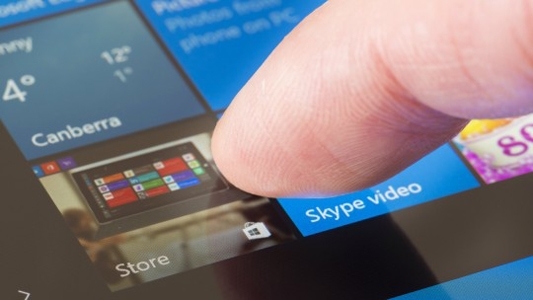 They’ll be limiting the Windows apps and services offered on Windows Cloud. It will be a huge failure if Microsoft doesn’t think it through. Windows Cloud will be launched this spring, possibly alongside Windows 10 Creators Update. Let’s wait to see how they approach this product. PC gaming has been one of the reasons why people install Windows on their machines and Windows has had a good reputation of offering great support for both games and gamers on its platform. A while back we had covered that Microsoft was working on a special mode on Windows geared towards gaming, which would essentially throttle the performance of the computer to give you the best experience possible. Well, Game Mode is real and it’s now available on Windows 10 Insider Build 15019. For starters, Game Mode is Microsoft’s attempt at improving the gaming experience by making optimizations to Windows 10 machines. You can test it yourself if you are on the fast ring Insider Build 15019. The Game Bar has been updated with Beam Game streaming and you can unlock Game Mode via the Settings app. What it essentially does is raises the priority of your game compared to other processes that are currently executing. If you are on the correct build, you’ll see a Gaming option with the Xbox logo under the Settings app. This feature along with others would be available on the stable channel with the Redstone 2 / Creators Update scheduled for April. Dropbox is a productivity tool but it didn’t let users do much in terms of productivity. I get it that it did allow you to have all your files in a single secure location but that was it. Companies like Google and Microsoft outsmarted Dropbox fairly easily and offered way more than just cloud storage solution. Dropbox saw an opportunity to expand its service and add an essence of what made the company popular in the first place. Enter Dropbox Paper. 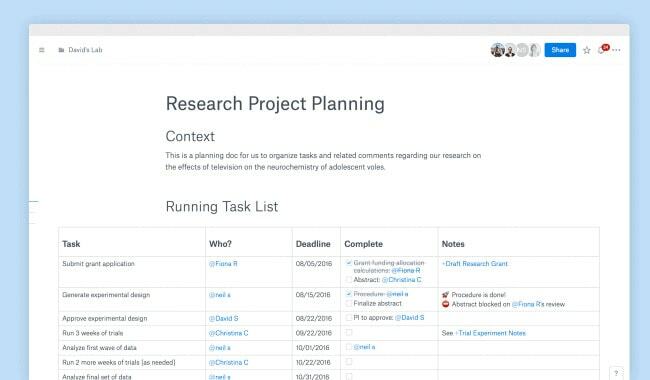 Paper is Dropbox attempt at collaborative editing software. Dropbox is making Paper available to all users today, globally. Paper essentially will try to get business away from Microsoft and Google or at the least encourage companies to pay for Dropbox services on top of what they already do. This is Dropbox’s first attempt at transitioning from being a consumer storage and apps company to an enterprise software which is more lucrative and self-sustained. This is evident from the fact that they shut down their Mailbox app and the Carousel app in 2015 to focus more on projects like paper. 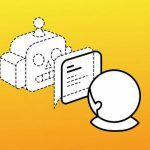 Dropbox expects that Paper will be used in environments where Microsoft and Google’s products are being used. What attracts me the most towards Paper is the ease of use. What’s hidden behind this minimalism are powerful features like Smart Sync, that would lure any loyal Google or Microsoft customer. The iPhone was the first smartphone ever and it gets the entire credit for starting the smartphone revolution. Today iPhone’s are the biggest source of revenue for Apple and the numbers in their last quarter earnings testify that. 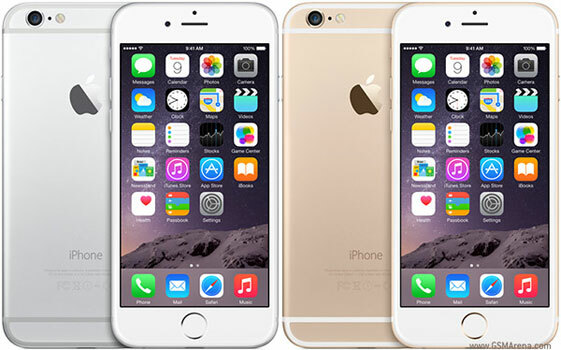 While sales of the iPhone keep growing, there are supply chain issues that Apple continues to face. Remember that the iPhone isn’t completely manufactured by Apple, it sources the components from several OEMs(Original Equipment Manufacturer). It has 766 suppliers across 28 countries. Most of which are based in China. In his recent visit to India, the CEO, Tim Cook made it clear that he’s pretty serious about India as it’s one of the markets where it has potential of growing significantly. Now, if you try buying an iPhone here in India you know the hefty price you end up paying because of the import duties levied on the product. Apple just announced that they have come to an agreement with the government of Karnataka to start a factory for manufacturing iPhone’s in Bangalore. The manufacturing facility will be based in Peenya and it will create a lot of jobs in the state. It was being speculated that the company would start a supply division in the country when they had posted job openings for the same. Apple has also proposed an iOS accelerator in Bangalore to promote Swift programming so that more people develop on iOS. When it comes to gaming, Razer is the first choice among gamers. Their products are solid. They have great build quality, a performance which is unmatched and all of this comes at a great bang for the buck price. In our CES coverage, we covered Razer’s Project Valerie, a three screen gaming beast packed into the body of a laptop. While it was just a concept design, it gave us a glimpse at the company’s future endeavors. This week Razer made an interesting acquisition which has given us another look at their future. 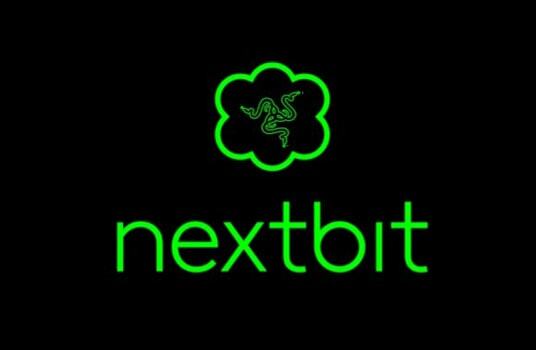 Razer acquired Nextbit, the company behind the revolutionary Robin smartphone. Robin was the phone with a neat trick up its sleeve. Instead of installing all your apps on to the main storage, it stored only the frequently used apps on board while the others were moved to the cloud. This wasn’t seen to be as a very useful feature but it wowed a lot of folks. Maybe Razer was one of them. As a part of the acquisition, Nextbit will cease the sale of it’s only smartphone, the Robin immediately. It will however, honor the warranty especially for the next 6 months and release security patches till February 2018. While it will halt the sales of Robin. It will operate as an independent division under Razer and build what it does best, smartphones and software. Since its inception Chrome has been a browser which takes pride in its security features. It’s always security first for the Chrome browser because it gets used at a scale no other browser does. Keeping this in mind, Google announced that Gmail will no longer be supported for Chrome versions below v53. This is in light of the fact that v49 was the last stable version released for Windows XP and Vista. Since Microsoft itself isn’t supporting both of these operating systems, it doesn’t make sense for Google to support the Chrome browser on them. If you happen to use these operating systems and you have Chrome installed or even if you don’t and are on an older version of Chrome, you’ll start seeing a banner in Gmail. 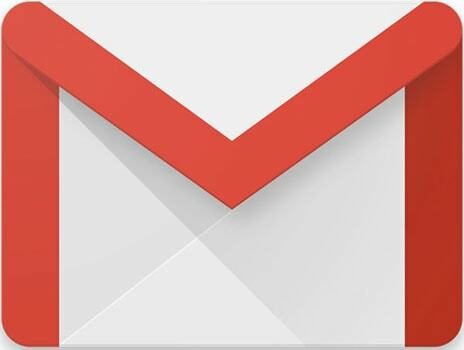 Gmail won’t work with their new security features so it’s advised to move to the new version of Chrome. You can read more on the same on this official post by Google. That’s all for now. See you all next week! Good information about Microsoft Dropbox paper and Gmail.